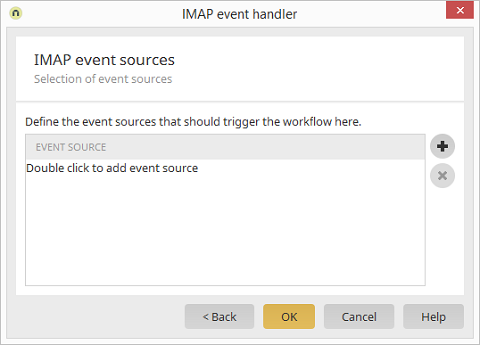 In this column you can see a list of the selected IMAP event sources that the IMAP event handler reacts to. Opens a dialog where a new IMAP event source can be added. Removes the current selected event source from the list.